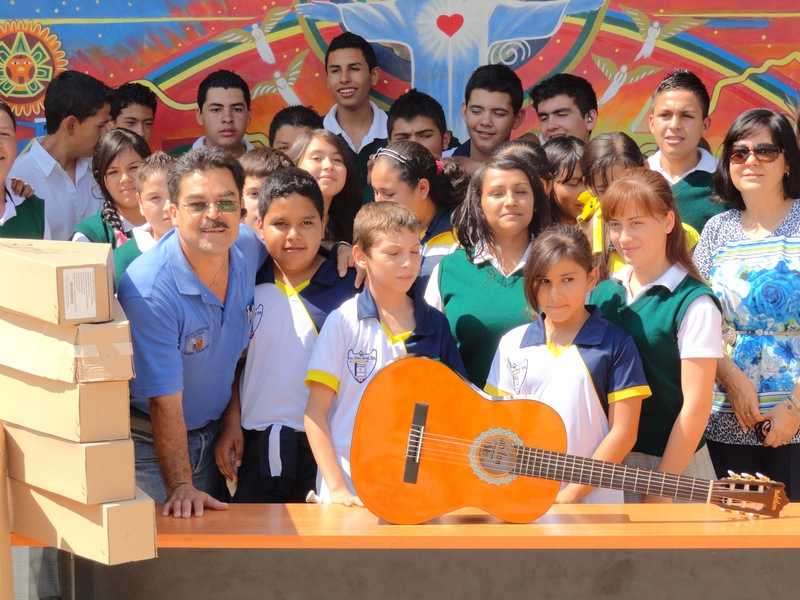 The Milagro Foundation has given grants to organizations across the country and around the globe. To see Grantees in your local area, please select your region from the drop-down menu. Or, select "All Regions" to see a more complete listing of Grantees. 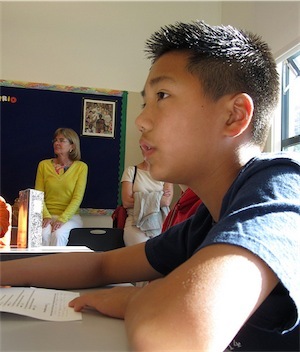 College prep tutoring program for children living in Marin City, grades K-12. 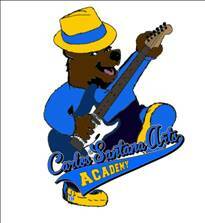 The mission of Carlos Santana Arts Academy (CSAA), in collaboration with families and the community, is to prepare students to be successful in a diverse society and ever changing world, becoming self-directed learners as they reach proficiency in a standards-based curriculum with arts at its core. The Conscious Kitchen partners with schools to shift the paradigm around food service, based on five foundational terms that define our commitment to fresh, local, organic, seasonal, non-GMO (FLOSN) meals. 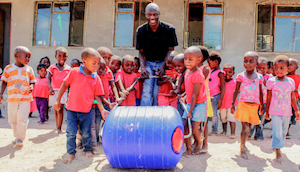 Hippo Roller makes it easy to collect water in rural tough conditions - up to 5x more water than to single bucket, by simply rolling it along the ground. 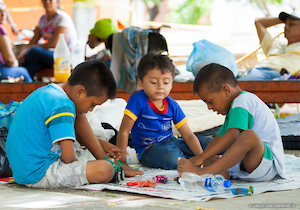 Mission: In partnership with our families, break the cycle of childhood poverty. 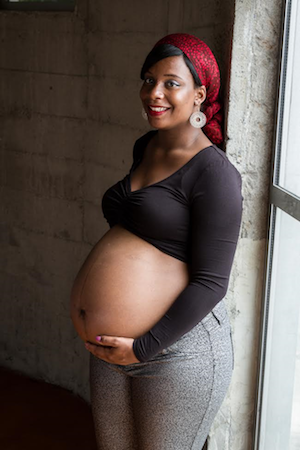 HPP empowers low-income and homeless families, particularly mothers motivated by pregnancy and parenthood, to find within themselves the strength and confidence they need to transform their lives. Huckleberry’s mission is to educate, inspire, and support under served youth to develop healthy life choices, to maximize their potential, and to realize their dreams. Since 1967, we have accomplished this by providing San Francisco and Marin youth and their families with a network of services and opportunities by caring peers and adults. 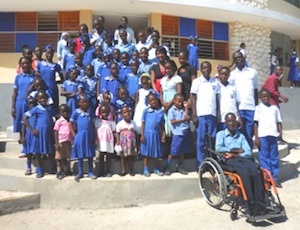 Support for handicapped orphaned children. Little Stars School provides a free education for more than 900 children from underprivileged homes in Nagwa, Varanasi, India. It is the only school of its kind in Varanasi providing quality education to children from poor families from pre-nursery thru 12th grade. Marin Horizon Community School is a pre-school for the low income children of Marin City which will potentially feed into the private Marin Horizon School. 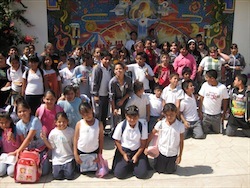 Tiopa/Santuario de Luz A. C.
Support for medical clinic that Carlos built in his hometown of Autlan Mexico. Currently focused on a sustainability project partnership with the Department of Global Health at the School of Nursing at University of California Medical Center in San Francisco. 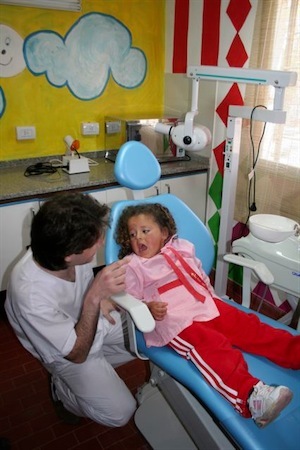 Project Sonrisa, dental clinics serving children living in the slums of Buenos Aires. #changingthefaceofsound by providing hands-on training, work experience, career counseling and job placement to over 1,500 women and girls every year in creative technology for music, radio, film, television and the internet. 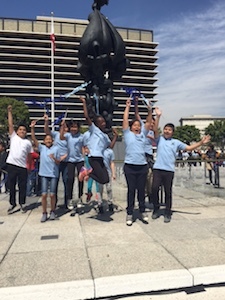 The CDF Freedom Schools® program is a research based multicultural summer enrichment opportunity that helps children and youth fall in love with reading, boost self-esteem, and generate more positive attitudes toward learning. Serving 50 elementary and middle school aged children each year, the Hannah CDF Freedom School is a six-week, full day literacy rich program that has five essential components: high quality academic and character-building enrichment; parent and family involvement; civic engagement and social action; intergenerational servant leadership development; and nutrition, health and mental health. 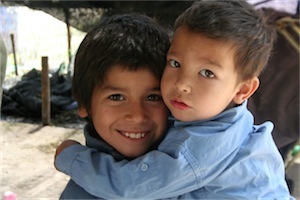 The HEAL Initiative works in Native American reservations, prisons, and the poorest villages on our planet. We pair dedicated U.S. providers with local health professionals who are already working in these communities. HEAL fellows work together on the frontline for two years. They develop skills essential to global health delivery through immersive training, an on-line Master’s in Public Health, and intensive mentorship. HEAL will be sustainable with scale since we leverage existing funds. 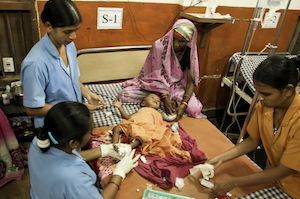 HEAL makes serving the poorest of the poor the first choice for health professionals. 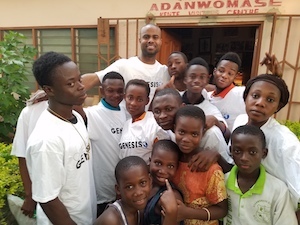 Through the experience of a trip to Ghana, Africa, Operation Genesis provides opportunities for at-risk youth to learn strategies for socioeconomic advancement and combat generational poverty through global travel, cultural exposure, academic and career counseling, community engagement and personal mentorship. 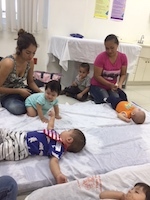 Aprendiendo Juntos is an educational and experiential program for low income parents and their 0-5 year old children who don’t qualify for subsidized pre-school. We work toward a peaceful future by uniting children of diverse backgrounds, providing them with essential community building skills, and empowering them to become peacemakers. Our complementary work with youth and adults not only supports our youngest peacemakers, but also enables us to reach wider communities through schools, community-based organizations, and the workplace. Together, we create microcosms of the just, diverse, inclusive world we envision, demonstrate that peace is possible, and inspire action. 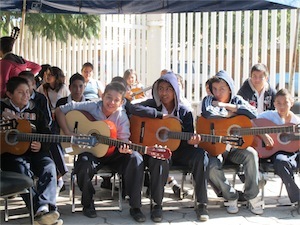 In the birthplace of Carlos Santana, Autlan, Mexico, there is a medical clinic that Carlos built. We are an institution that provides health and education with courtesy, love, humility and equality to the most vulnerable women, children, elderly and indigenous people of Autlán and the region. 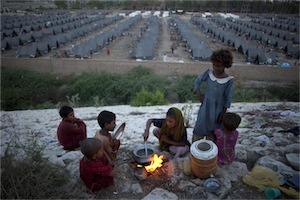 Support for Syrian refugees in Syria, Jordan and other refugee camps. The Alive & Free Leadership Academy will prepare 200 at-risk youth to remain alive and free, graduate from high school, and prepare for and graduate from college. Expressive Arts therapy program transforming refugee and at risk youth/children of trauma as it relates to war, displacement, and violence as a result of the vulnerability of poverty. After school college readiness program for more than 30% of the children who live in Marin City, preparing them for high school and college. 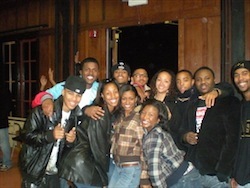 The UP! 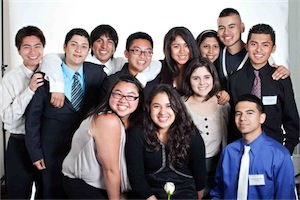 program is a mentoring college prep program that engages at-risk Latino youth starting in middle school and provides continued support through high school and college. UP! addresses knowledge gaps in core skill areas and helps students get back on track to graduate from high school ready to pursue and obtain a college degree. 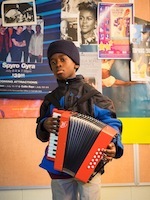 ArtSmart is coupled with Beyond The Bell - Youth Services and Youth Development Programs. 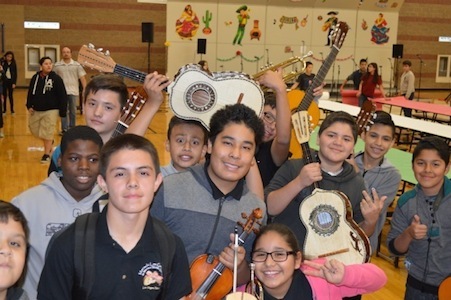 Students are encouraged to participate in the arts and athletic programs and receive school wide recognition for their participation in these programs. 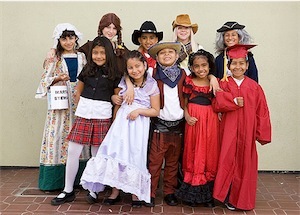 These programs are connected to Character Counts and Second Step programs that are the basis of CSAA’s school wide behavioral support program that is designed to build understanding, civic responsibility, non-violent conflict resolution, and trust. 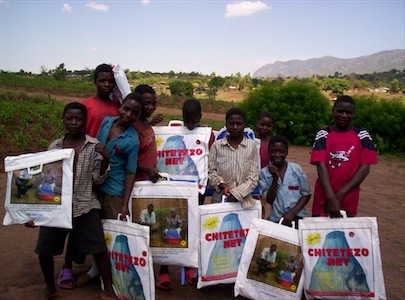 To provide anti-malarial bed nets to orphans and vulnerable children in remote, rural Malawi and nourishment for orphans in crisis. HPP provides programs and services designed to help families overcome obstacles that often perpetuate the cycle of both violence and poverty. HYP is committed to ensuring that youth and their families have access to high quality, adolescent-specific, culturally and linguistically appropriate mental health and substance abuse counseling and interventions. This project will focus on psychosocial screening, mental health counseling, and substance abuse counseling/outpatient treatment for youth ages 12-25 and their families. 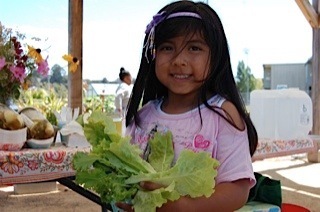 The Conscious Kitchen is an unprecedented program dedicated to a systemic transformation of school dining, to the health and improved life outcomes of our children, and to a thriving future for our planet. The Conscious Kitchen partners with schools to shift the paradigm around food service, based on five foundational terms: fresh, local, organic, seasonal, non-GMO (FLOSN). Built by Carlos Santana in his home town of Autlan, Mexico, this medical clinic serves the poor and migrant families within a 25 mile radius. The program provides professional therapy individually and in a group setting to help children and teens cope with the confusion, fear and stress caused by parental illness. 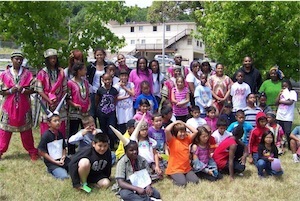 To establish a suicide prevention program through the schools on the Reservation. Pine Ridge has one of the highest incidences of teen suicide in the country. 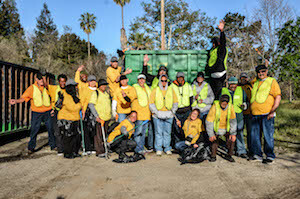 Larkin Street supports homeless youth in San Francisco with programs and hope. 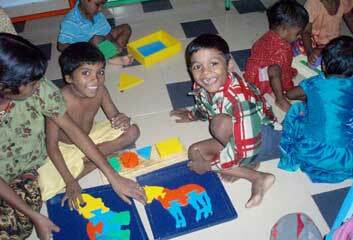 Little Stars school provides an educational program for street children. 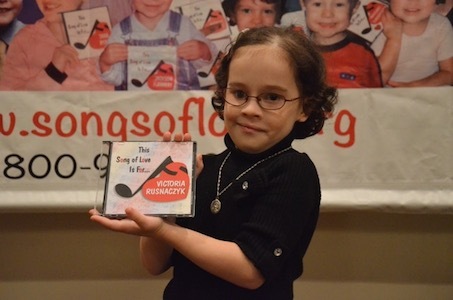 Songs by famous musicians for and about children with life threatening illnesses. VIP Community Mental Health Center, Inc. 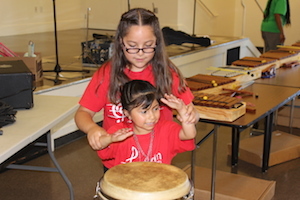 Bringing free, intensive, high quality music instruments, classes, performance opportunities and lessons to children in communities with limited access to instrumental music education, in particular – the Canal neighborhood of San Rafael, CA. 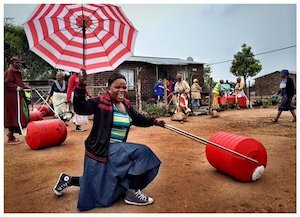 Hippo Water Rollers delivery system for children and their families of the Matshiretsane Village. Our mission is to engage and strengthen families to take leadership for the well-being of their children, families and communities. 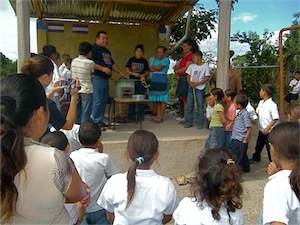 Building sustainable safe stoves and the creation of factories to build them in Mexico. #YesWeCode is an initiative with a simple but powerful objective: to train 100,000 low-opportunity youth for the high-tech coding jobs of the future. 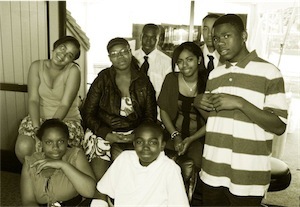 Our Mission: To keep young people alive and free, unharmed by violence and free from incarceration. To provide young people with opportunity and support to build positive lives for themselves and to move into contributing roles in society. 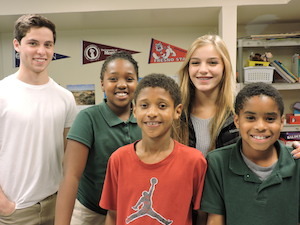 Bridge the Gap College Prep provides two after school programs focused on academic enrichment and intervention and youth development to help equip youth with the essential academic and non-cognitive competencies necessary for middle, high school and college success. 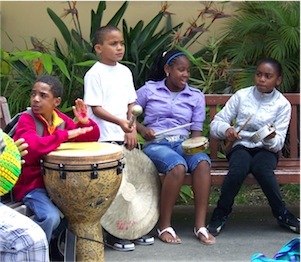 The mission of Carlos Santana Arts Academy (CSAA), in collaboration with families and the community, is to prepare students to be successful in a diverse society and ever-changing world, becoming self-directed learners as they reach proficiency in a standards-based curriculum with arts at its core. CSAA staff support students to be original thinkers who are innovative problem solvers, effective communicators who are technologically skilled, and responsible members of society. The Conscious Kitchen is dedicated to a systemic transformation of school food programs, to the health and well being of our children, and to a thriving future for our planet. 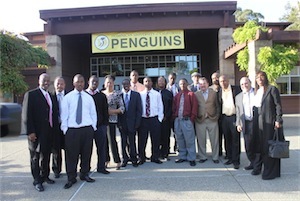 Teens Turning Green launched the pilot program at Bayside MLK Academy in Marin City, California on August 28, 2013. We set out to break the cycle of unhealthy, pre-packaged, overly processed, heat and serve, by introducing, preparing, and serving fresh, local, organic, seasonal, non-GMO, scratch-cooked food to 170 students, staff, and faculty for breakfast and lunch each day. 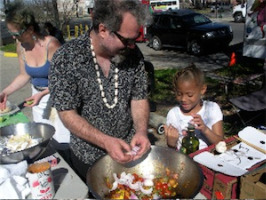 The Conscious Kitchen is supported by an interdisciplinary garden and nutrition curriculum. Global AIDS Interfaith Alliance (GAIA) provides basic health services, targeting prevention, care, and support in communities affected by HIV, AIDS,TB and malaria in Africa. Huckleberry's mission is to educate, inspire, and support underserved youth to develop healthy life choices, to maximize their potential, and to realize their dreams. Since 1967, we have accomplished this by providing San Francisco and Marin youth and their families with a network of services and opportunities by caring peers and adults. 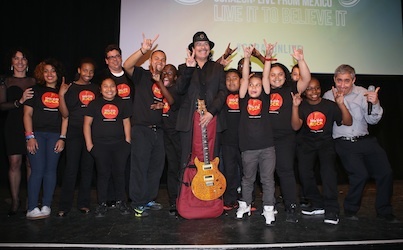 When it comes to making sure every kid gets a first-rate education, music matters. 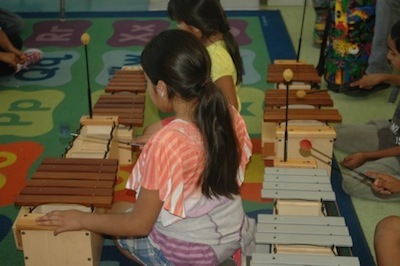 Little Kids Rock believes that learning to play a musical instrument can be a transformative experience in students’ lives, with the power to inspire the creativity and confidence that are critical to success in school and in life. 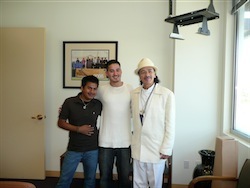 Medical clinic in birthplace of Carlos Santana. 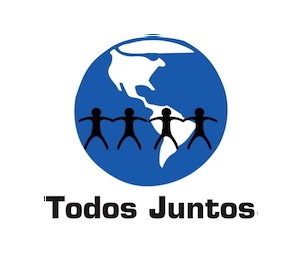 Todos Juntos was set up in Argentina in 2005 as the result of one woman’s concern for the thousands of disadvantaged children living in and around Buenos Aires. It is a non-profit organization with the principal aim of improving the daily living conditions of some of the most impoverished children living in the outskirts of the city. 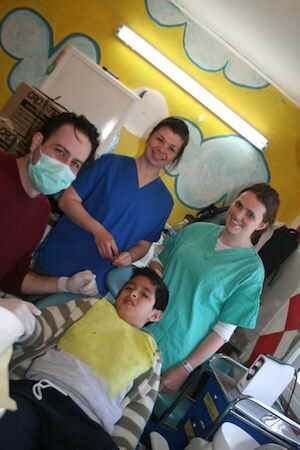 Our primary activity is to provide free dental care to children living in the slum areas of northern Buenos Aires. The first dental clinic, Sonrisa I, was opened in the San Martin district in 2006. 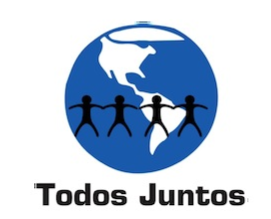 Due to overwhelming demand, Todos Juntos opened Sonrisa II in 2007, closely followed by our third clinic - Sonrisa III - in 2009. The Las Vegas Rescue Mission exists to provide help and hope to the homeless and hurting men, women and children of Las Vegas. 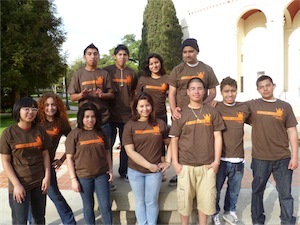 Leaders in Training (LIT) is a program designed to respond to the needs of teens. The program teaches teens how to work with younger members, handle responsibilities, develop essential leadership skills and acquire job skills. 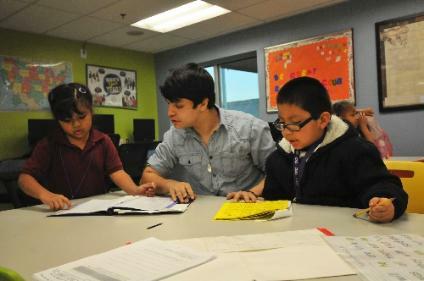 Specifically, the program focuses on the following three areas: Business Savvy - Boys & Girls Clubs of Las Vegas focuses on providing training to underserved young people to develop necessary skills and knowledge to build ongoing leadership capacity. 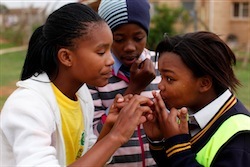 SMART Moves program targeting alcohol and substance abuse prevention. Casa de Luz is a 24-hour-a-day, 7-day-a-week community resource center operating in the neighborhood known as the Naked City (one of Las Vegas’ poorest neighborhoods, located behind the Stratosphere). 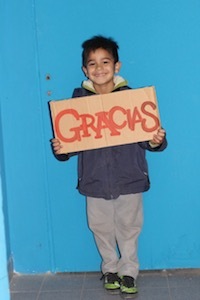 Since opening its doors in August 2009, Casa de Luz has distributed hundreds of thousands of pounds of groceries to hungry families, helped usher in a dramatic reduction in neighborhood crime rates, and assisted kids and adults in turning their lives around through the constant, loving presence of hope. 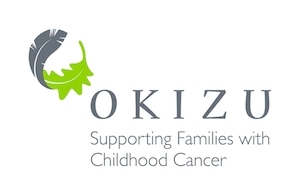 Founded in 1982, Okizu’s mission is to provide peer support, respite, mentoring, and recreational programs to meet the needs of all members of families affected by childhood cancer. Okizu has fulfilled this mission through a variety of residential programs held at Camp Okizu. The Health and Community Centre is an institution Tiopa Tlanextli crafted to support the population of the region Autlán and needy, that is, which is affected by low income and low ability to access public health services as well as lack of education affective support. Its name comes from the Nahuatl dialect Sanctuary of Light. The center was named by his Benefactor Carlos Santana in November 2005 that a commitment to his hometown this center is built in the same year it is integrated with a board of health that supports their development construction and development of manuals and policies of this institution is given the name in the Nahuatl dialect submit to respect Indian culture and tradition. 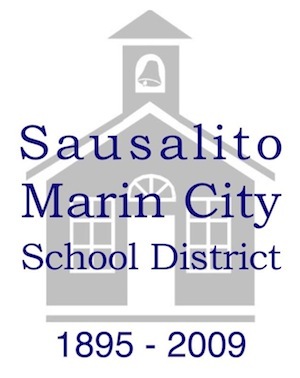 The Sausalito Marin City School District (SMCSD) launched a nutrition , food access and health program, GrowingGreat Marin City, in 2009. 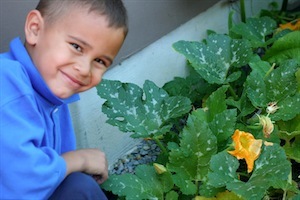 The mission of the GrowingGreat Marin City program is "to develop and implement an ongoing, prevention-based program to improve the heath and well-being of the children and their families in Marin City, California. The focus is on nutrition, physical activity promotion and education, as well as developing community partnerships in order to increase access to healthy foods and physical activity." The Hannah Project Partnership is a community based college and career preparatory program with a mission to boost the academic performance and college graduation rates of Africa American and other low income students of color in Marin City and other under-served Marin communities by working in partnership to promote a community culture that encourages achievement and equips families and students with knowledge, skills, and strategies to fulfill their dreams and ambitions. 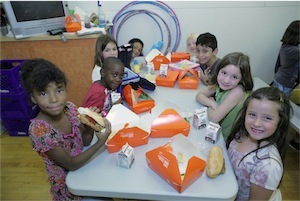 Three Square is Southern Nevada’s only food bank and largest hunger-relief organization. Since opening in 2007, Three Square has provided 100 million pounds of food to hundreds of thousands of people in need—a growth rate most food banks require ten to fifteen years to achieve—and distributed more food than in the entire history of the previous Clark County Community Food Bank. In 2012, Three Square significantly advanced its mission to provide wholesome food to hungry people, while passionately pursuing a hunger-free community. A year-round program, Smart Moves features interactive, small-group activities designed to increase participants peer support, enhance life skills, build resiliency, and develop and strengthen leadership skills. It uses age-specific modules that engage Club staff, parents, community members, and older teen members in a team approach to prevention. The GAIA NetGain project takes advantage of the existing village network of GAIA caregivers, already trained in health education and working in their villages to respond to the HIV/AIDS epidemic. The caregivers educate people about malaria, its causes, how to prevent it, and the importance of getting prompt treatment for malaria-like symptoms. 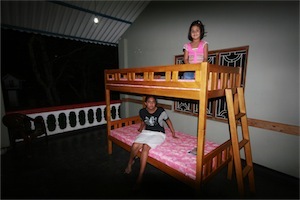 They teach them how to use bednets, how to repair, maintain, and re-treat them. Then they distribute the nets and check back periodically to assure that villagers continue to use them properly. 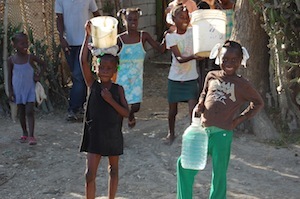 Post earthquake support for children in Haiti, most particularly the orphan community of Riviere Froide. 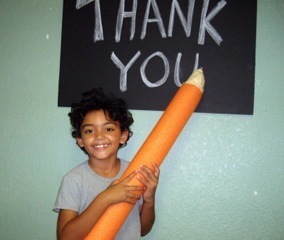 Thank you for everything you do for the "little clinic that could" in Marin City. 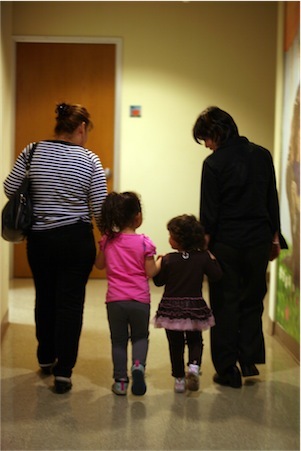 The children of Marin City now have a community health center which they can call their own. This will only encourage that one day, one of these children who frequents the clinic will grow up to become the very doctor we are looking for to take over the helm and drive this ship into the distant future. 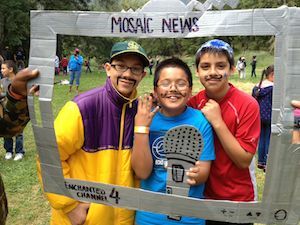 Funding for Bayside (Marin City) students to attend the Mosaic anti racism and anti-bullying project program for one week. 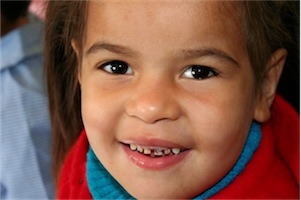 Dental clinic and dental services for children in the slums of Buenos Aires. 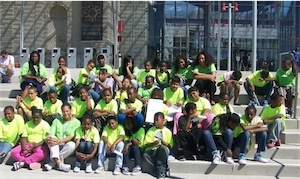 Founded in 1986, Aim High is the largest academic summer program provider for middle school students in the SF Bay Area. Aim High reaches youth at a critical point in their adolescent development Ð increasing academic and personal readiness during the summer months. The mission of Aim High is to inspire a life long love of learning and instill a sense of community, opportunity, and respect so that students are prepared for success in school and life. 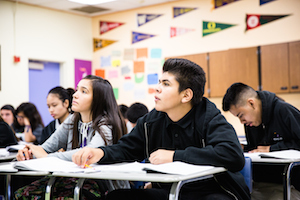 Now in its 15th year, Bridge the Gap College Prep (BTGCP) was founded to provide much needed academic support for struggling Marin City students, originally through twice weekly evening sessions of homework help, skills tutoring and mentoring. 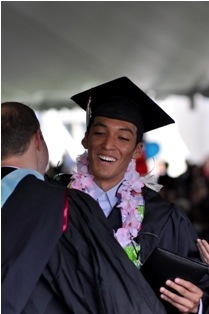 Since then, BTGCP has grown into a robust program with a broader mission: BTGCP seeks to provide comprehensive educational support for Marin City youth, with the goal that every Marin City child completes high school and graduates from college. Dreamways is a comprehensive system of community based academic and social support programs for elementary, middle and high school students that builds confidence, character and achievement. 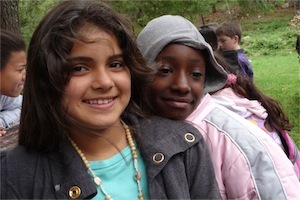 Support for Marin Human Race benefiting Marin County non-profit agencies. 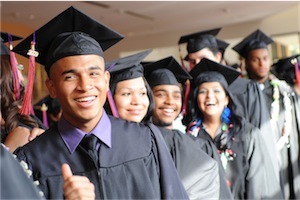 DCP’s target students are historically , underserved and primarily Latino, who will be the first in their family to graduate from a four-year university. In addition to academic challenges many of these students face difficulties at home that negatively impact their learning. DCP addresses all of these issues. The DCP program endeavors to provide students with emotional strength, personal discipline and self-confidence to make positive life choices. 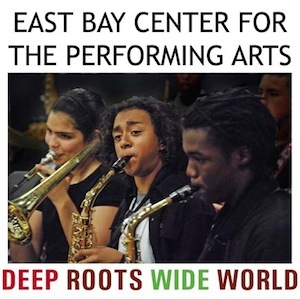 Eastside is an independent, non-profit school founded in 1996 to offer East Palo Alto high school students a rigorous college preparatory education and widen their life opportunities. 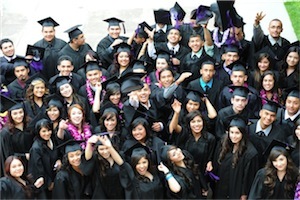 We have one central mission: the enrollment of every Eastside graduate in a four-year college or university. 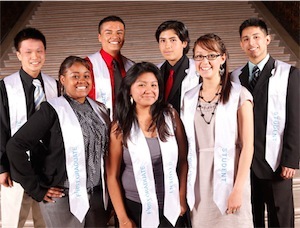 Located in a community where currently 65% of students drop out of high school, in contrast 100% of Eastside''s nine classes of graduating seniors have gone on to attend a four-year college or university. More than 95% of these students are the first generation in their families to pursue higher education. First GraduateÕs mission is to help students finish high school and become the first in their families to graduate from college. To that end, we have built an effective college access and completion program that currently serves 210 San Francisco-based students each year utilizing a high-touch, long-term approach that is unique within the field. 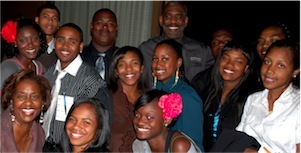 The Omega Leadership Academy provides rigorous academic skill development infused with the Alive & Free Violence Prevention Prescription to help young people succeed in school, prepare for college, develop critical thinking, math and literacy skills, and live meaningful lives free of violence and incarceration. 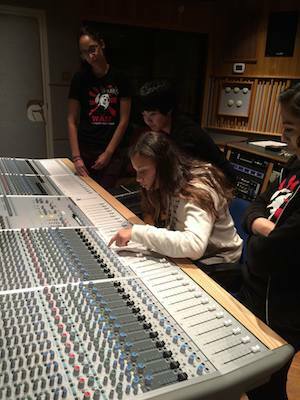 This four year program is designed for highly committed middle and high school students who desire to achieve both technical depth and performance breadth in music, dance or theater/media. Project Ujamaa will provide year-round, weekly activities designed to increase access to and foster an appreciation for good food among more than 300 underserved children in New Orleans and their families. 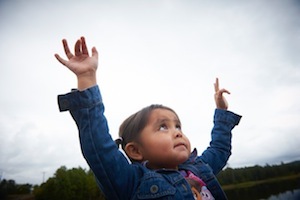 The program will engage Native community stakeholders in three southwestern reservation communities to promote school, family and community-based programming to teach children and families to grow, eat and distribute healthy foods. Outreach and support of local farmers will augment program success and strengthen local healthy foods systems. Local tribal stakeholders will ensure core curriculum and program activities are centered in indigenous cultural wisdom and strength. This request is to provide enhanced therapeutic services for the high risk students of Phoenix Academy and Marin County Community School. The program serves students from across Marin County who are in need of intensive support services and substance abuse intervention in order to achieve academic success and become healthy citizens of our community. 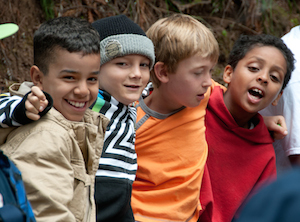 The only theater group in the US for deaf children ages 5-15, who are learning to speak. 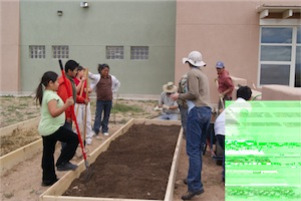 The project is designed to bring together community partners who will contribute to a unique nutrition education program in which the schools will host and integrate a school garden along with an inter-generational after-school element. 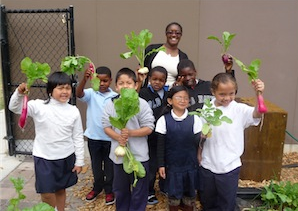 The mission of ESY NOLA is to integrate organic gardening and seasonal cooking into the curriculum, culture and food programs of Green Charter School. 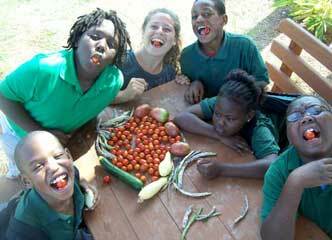 ESY NOLA provides students with engaging hands-on learning experiences through weekly garden and kitchen classes, and school-wide seasonal events that promote the local food traditions of New Orleans. The Mosaic Project, unites young children of diverse backgrounds, provides them with essential skills to thrive in an increasingly diverse society, and empowers them to strive for peace. It is the vision of this project that children from the same county, but who differ markedly in socioeconomic, racial, and ethnic make-up, can participate in the program together. Our children’s programs are based on the premise that birth to 5 years of age is an extremely critical learning period for children with or without disabilities, and that the earlier a child’s special needs are addressed, the greater the skill base for future improvement. The Children’s Program provides professional therapy in a group setting and individually to help the children of Latinos diagnosed with cancer cope with the confusion and stress caused by parental illness. The goals of the project are to identify youth at risk for substance abuse through TeenScreen conducted at local high schools; and provide individual, group and family addiction treatment services for at least 40 youth and family members (half of whom will be Latino youth). The objective of this project is to support one of International Childcare Trust's partner, Shilpa Children's Trust (Shilpa) in Sri Lanka, who are working towards the long-term rehabilitation of children, their families and their communities in Hambantota, southern Sri Lanka. 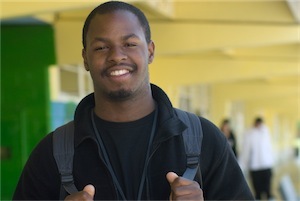 The TASK Program at Larkin Street Youth Services provides homeless and runaway youth, ages 12–17 (underage youth) in San Francisco with emergency and transitional housing, health screening and treatment, mental health and substance abuse services, case management, education, and family reunification services, in one comprehensive, wrap-around service delivery system. 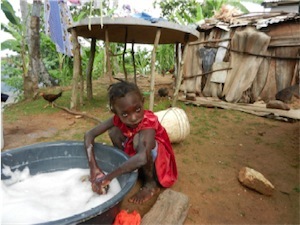 Ongoing disaster relief in Haiti for schools for orphans and disabled children in the town of Riviere Froid. After a disaster there are some needs that no one seems to want to fund but are vital for success. 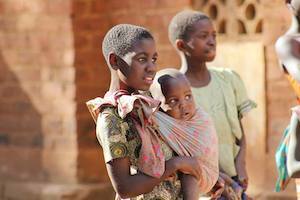 These are practical needs that will help many children receive an education. 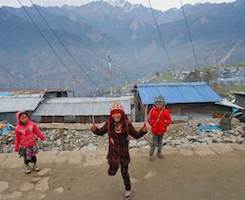 Repairing a car, food, scholarships, equipment, and getting one girl and her mother out of a dangerous tent with gunfire each night might not give us measurable outcomes but they are among our real post earthquake needs. 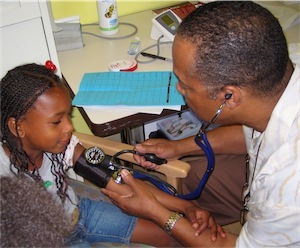 A wellness center, health clinic and outreach, especially to low income youth. 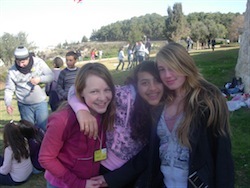 Camp Okizu is an experience that any child would enjoy. But our campers aren’t just any children. 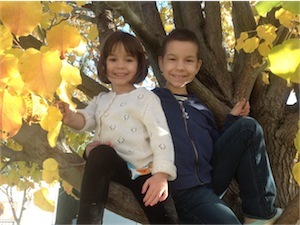 They are 6-17 year-olds whose lives have been devastated by cancer. Many have undergone months of chemotherapy and endured nausea, hair loss, and painful side effects. A week at Camp Okizu gives kids the opportunity to make friends, play games, sing songs, learn new activities, and simply have fun. 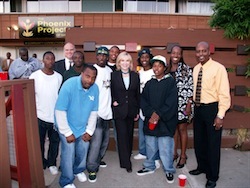 The Phoenix Project, Community Connections Center is designed to address the at-risk and underserved youth of males ages 13 to 25 . Our mission is to transform the circumstances, attitudes, collective history and self-perception of troubled youth facing psychological, family, social and economic hardships. This transformation results in real educational and vocational opportunities, increased self-worth, community integration, family cultuvation, and achieveable directions. Santuario de Luz A.C . Built by Carlos Santana in his hometown of Autlan Mexico, this medical clinic serves all communities within 5 miles of Autlan. Upper respiratory disease, caused by smoky open fires in Guatemalan and Honduran homes, is the leading cause of death in local children. Catastrophic burns are another preventable tragedy. 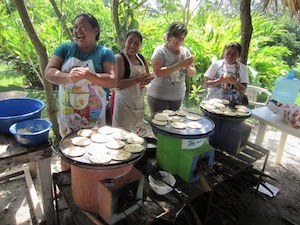 This stove project provides safe, portable, locally-made cookstoves to replace open fires and reduce deforestation. Project Sonrisa is a dental program specifically adapted for the children and adolescents living in the slums of Buenos Aires, Argentina. VIP offers around-the-clock medical, forensic, mental health, support and advocacy services to children in foster care and other victims of child abuse and neglect, domestic violence, sexual assault, elder abuse and dependent adult abuse. 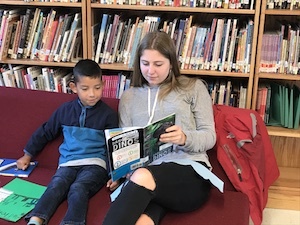 Marin County School Volunteers matches community volunteer tutors with the neediest students identified for academic assistance throughout the public schools of Marin County, grades K-12. 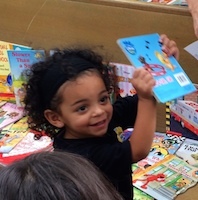 Marin Literacy Program offers literacy services to families with small children in a variety of ways. From tutoring parents to offering health information to families in isolated areas, to bringing parenting instruction to the incarcerated, MLP endeavors to close the achievement gap between those children from underserved areas and those from more affluent communities. 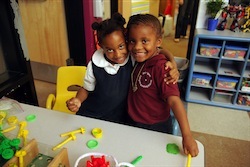 Ritter Center is dedicated to sending children back to school prepared to learn. Most schools require students to come to class with the tools needed to succeed. If a student does not have those tools (things as basic as pencils, erasable pens, scissors, calculators, binders and notebooks), they not only fall behind their peers, but also become stigmatized. 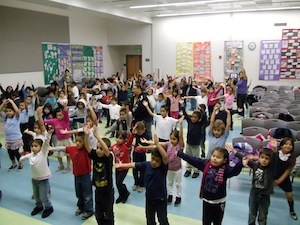 Self-esteem, self-confidence, and self-worth all play vital roles in school performance. A new backpack may seem trivial, but the proud smiles on the faces of students receiving them helps to clue the rest of us in that they are almost as important as the school supplies themselves. 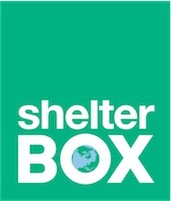 ShelterBox is a disaster relief organization that provides humanitarian aid in the form of shelter, warmth and comfort to people displaced by natural and other disasters worldwide. 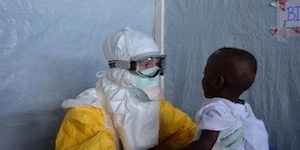 Its concept is premised on the observation that the typical aid response to most disasters is in the form of food and medicine to help people survive the immediate aftermath. 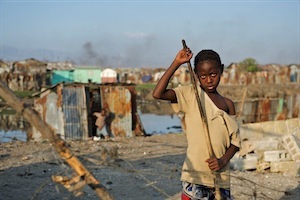 Little or no assistance was given in terms of proper shelter to help them through the first few days, weeks and months as they tried to rebuild their lives. Three Square will exceed our goal to distribute 16,000,000 pounds of food to southern Nevadans in need of hunger-relief. 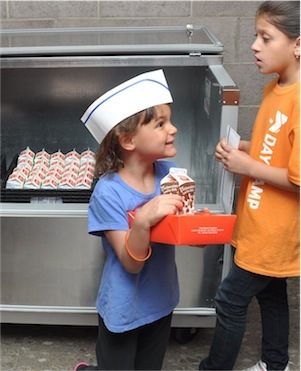 Through our growing community collaborative—which now includes 270 agency partners and 175 school partners—Three Square currently serves 83,000 people who are struggling with hunger each month. 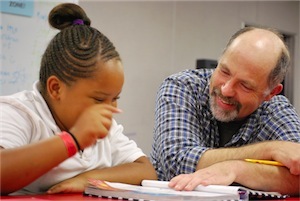 Our School House intensive after-school program, operated out of a home on Fort Mason, is the only programs of their kind for homeless and formerly homeless middle school students. We provide 15 students with a nearly year-long program of academic and emotional support, including 80 minutes of individualized tutoring four to five days per week during the school year. 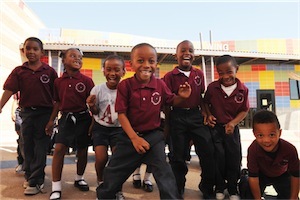 This grant will directly impact children’s lives by helping the Foundation fund the Andre Agassi College Preparatory Academy (“Agassi Prep”) and deliver a quality education to its 600-plus K-12 students. The Youth Development and Leadership program offers teens and young adults healthy alternatives to potentially unhealthy or harmful behavior. We use youth development best practices such as peer counseling, job skills and life skills training, leadership development, education, and recreation. 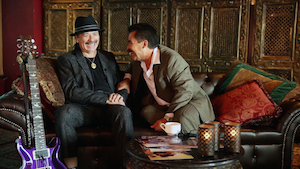 Honoring Carlos Santana's long time attorney, City of Los Angeles College Foundation's gala is helping to support their mission of serving many low income students in their quest for college graduation. 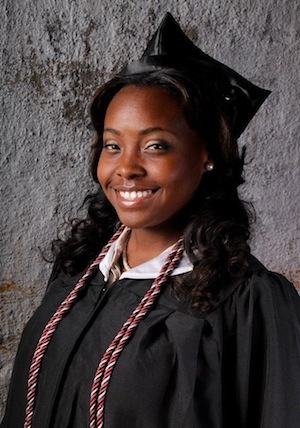 College Track is an after school program working to increase high school graduation, college eligibility and enrollment, and college graduation rates among low-income, under-resourced high school students. College Track's intended impact is to close the achievement gap and create college-going cultures for students who are historically and currently underrepresented in higher education. First GraduateÕs mission is to help students finish high school and become the first in their families to graduate from college. 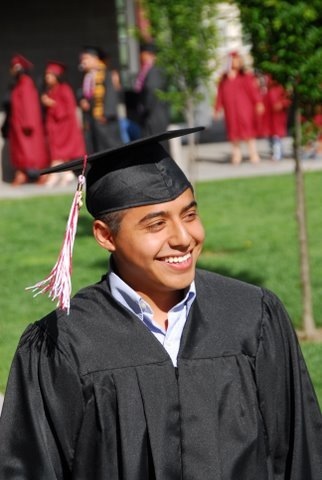 To that end, we have built an effective college access and completion program that currently serves 210 San Francisco-based students each year utilizing a high-touch, long-term approach that is unique within the field. We work exclusively with aspiring first-generation college graduates, meaning students whose parents have never completed college. 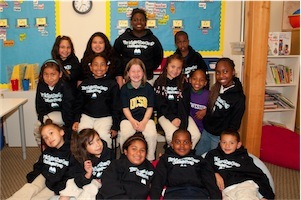 Hannah Project Freedom School is a summer cultural and literacy program for 3rd-5th graders in Marin City. 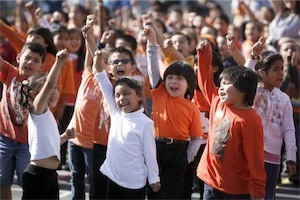 KIPP Bayview Academy is a free, open-enrollment, college-preparatory public charter middle school located in the Bayview HunterÕs Point community of San Francisco. 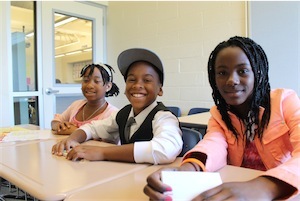 The school serves 257 students; 73% are low-income and over 70% are African American. 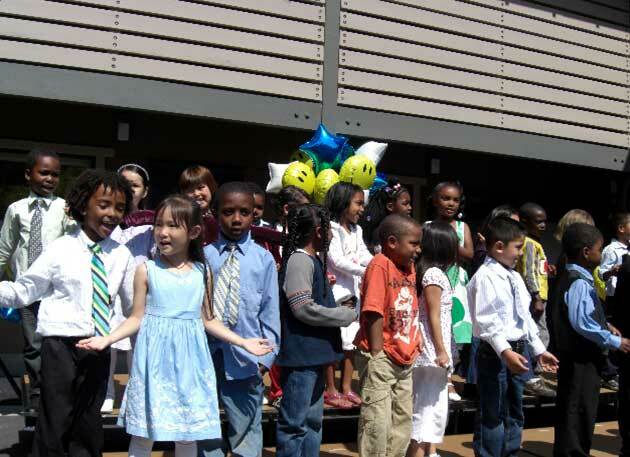 KIPP BayviewÕs mission is to develop in the students of Southeastern San Francisco the knowledge, critical thinking skills and character traits needed to succeed in top quality high schools and colleges, and to lead deliberate and productive lives. 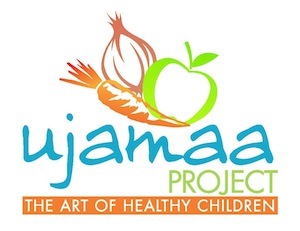 Project Ujamaa will provide year-round, weekly activities designed to increase access to and foster an appreciation for good food among more than 300 underserved children in New Orleans, 7-14 years old, and their families. 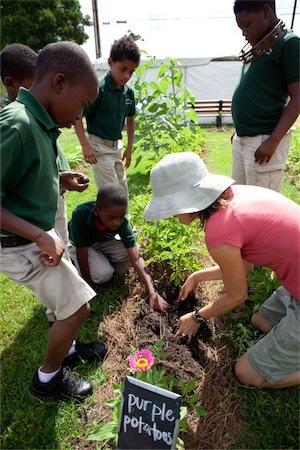 The mission of ESY NOLA is to integrate organic gardening and seasonal cooking into the curriculum, culture and food programs of four New Orleans schools. ESY NOLA provides students with engaging hands-on learning experiences through weekly garden and kitchen classes, and school-wide seasonal events that promote the local food traditions of New Orleans. The CDF Freedom Schools program provides summer and after-school enrichment that helps children fall in love with reading, increases their self-esteem, and generates more positive attitudes toward learning. Children are taught using a model curriculum that supports children and families around five essential components: high quality academic enrichment; parent and family involvement; civic engagement and social action; intergenerational leadership development; and nutrition, health and mental health. 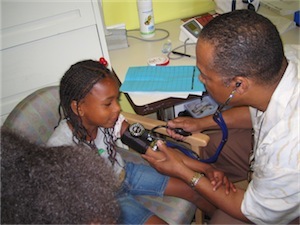 A Marin City community health clinic and wellness center, providing primary care and outreach, especially to youth. Carlos built this clinic in his hometown of Autlan. These monies would support continuing operating costs. 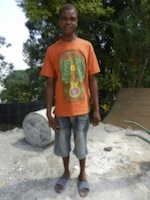 The clinic is the only health clinic within miles and serves all surrounding village communities. 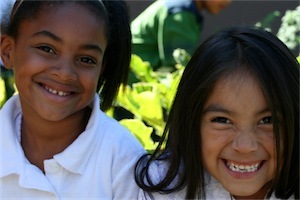 Additional support for GrowingGreat Marin City school garden and nutrition education project in the schools. 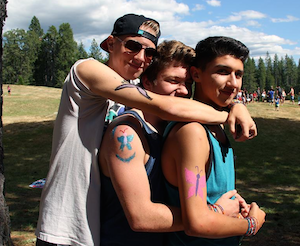 Over the years, Camp Sunburst has provided social and educational experiences that have had a profound impact on the lives of hundreds of HIV/AIDS infected and affected children, youth, and their families. This program exposes at risk youth to experiences they may not have had prior access to, or have lost access from. Santuario De Luz is a clinic that Carlos Santana built in Autlan Mexico. Serving the health and education needs of five neighboring communities without services, the clinic serves as a community center as well. Free dining room is open 7 days/week to all hungry people in Marin. We serve approximately 400 meals per week. 30% are children. 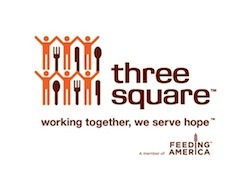 Three Square is a member of Feeding America, the umbrella organization for our national network of food banks. Established in 2007, Three Square''s mission is to “provide wholesome food to hungry people, while passionately pursuing a hunger-free community”. 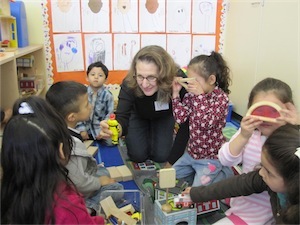 Grant funds will support the first part of a three-year project period to evaluate the early childhood programs currently in place at the three Hand in Hand Schools, identify and integrate best teaching practices in early childhood education, and implement these findings through a top quality training program for Hand in Hand teachers. Scholarship assistance for undergraduate college students unable to access public financial aid sources. 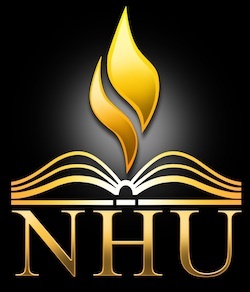 NHU is the only Hispanic University in the country. 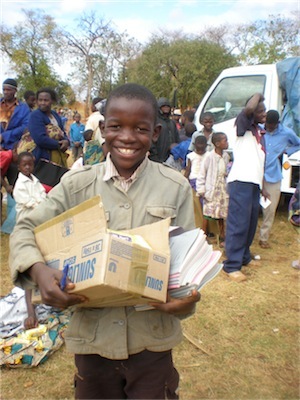 NetGain-Malawi placed ITNs in 8 villages in southern Malawi in November 2006 (population ~ 3,000). Volunteer women followed the malaria status in these 8 villages for 6 months during the rainy season, as well as malaria status in 4 nearby villages without ITNs. In June, 2007 it was determined that malaria incidence had declined by 77% in the netted villages compared to the nearby non-netted villages. 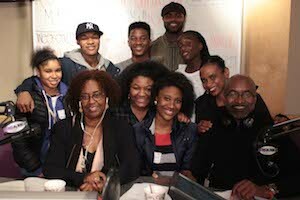 Parent empowerment and leadership project primarily for low income parents. 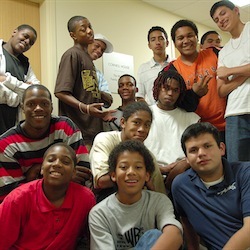 The Phoenix Project focuses on engaging young men between ages 13 and 25 in neighborhood and community activities as alternatives to the street. 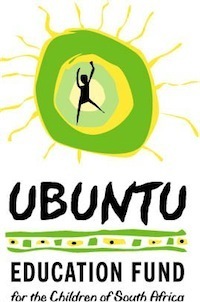 Ubuntu Education Fund is a grassroots organization dedicated to working with the people of the Eastern Cape Province to develop quality education and healthy communities in the new South Africa. 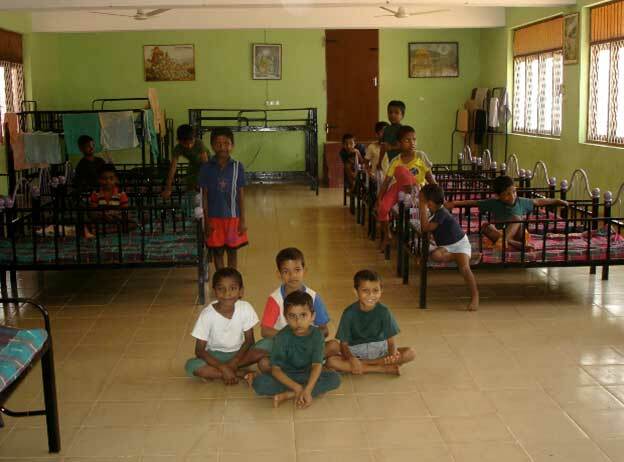 Gokulam - Bhaktivedanta Children's Home is an orphanage just outside of Colombo, Sri Lanka. 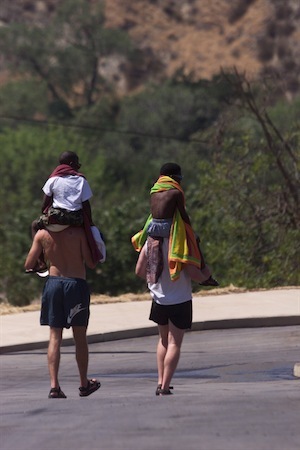 Since 1999 we have been serving children affected by the ongoing civil war and poverty. 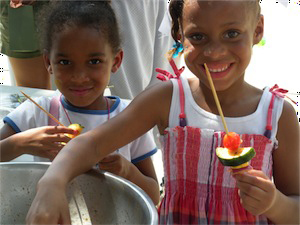 Kellogg project: Project Ujamaa will provide year-round, monthly activities designed to increase access to and foster an appreciation for good food among more than 300 underserved children in New Orleans, 7-14 years old, and their families. 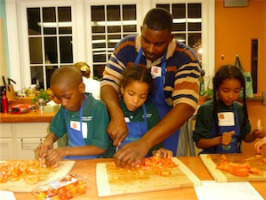 The multilayered activities will include providing “Vegetable Vouchers” to program participants, allowing them to meet urban famers, listen to presentations from nutritionists, make their own healthy recipes and items to sell at the market, and develop skits, poems and songs that address the importance of healthful eating. 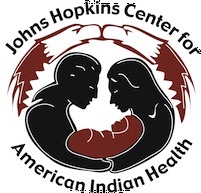 Kellogg project: Johns Hopkins Center for American Indian Health seeks to partner with the Milagro Foundation to create an innovative culturally-based nutrition promotion program with the most underserved and nutritionally at risk children in America, American Indians. 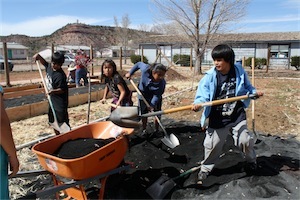 The program will engage Native community stakeholders in three southwestern reservation communities to promote school, family and community-based programming to teach children and families to grow, eat and distribute healthy foods. 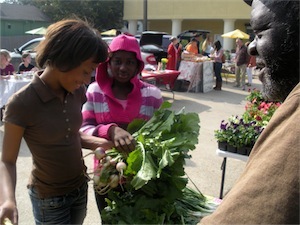 Outreach and support of local farmers will augment program success and strengthen local healthy foods systems. Local tribal stakeholders will ensure core curriculum and program activities are centered in indigenous cultural wisdom and strength. The project will develop over three years, and include sustainability and dissemination planning to compound Milagro’s investment in this work. 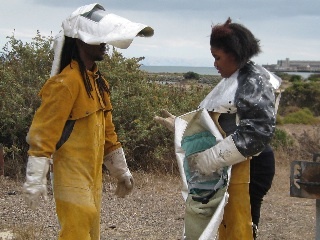 This project brings together a master artist with a group of young people in the Bayview Hunters Point neighborhood aged 14-17 to teach them basic skills in artistic design and casting for relief wall sculpture while directly integrating environmental studies into the casting process. Kellogg project: The mission of ESY NOLA is to integrate organic gardening and seasonal cooking into the curriculum, culture and food programs of Green Charter School. 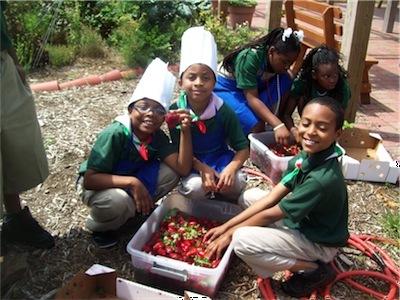 ESY NOLA provides students with engaging hands-on learning experiences through weekly garden and kitchen classes, and school-wide seasonal events that promote the local food traditions of New Orleans. Carlos built this medical clinic in his hometown of Autlan. Mexico. These monies support continuing operating costs. Our mission is to help students who have the desire but lack the resources and support to attain higher education and fulfill their own best promise. Students that are involved in Challenge Day will have the opportunity to share their story, acknowledge similarities, appreciate differences and connect with their peers. Challenge day helps students to break economic and racial barriers and to celebrate diversity. Discovery Arts brings the healing power of music, art, dance and drama to children with cancer, serious blood disorders and life threatening illness while in the hospital receiving treatment. 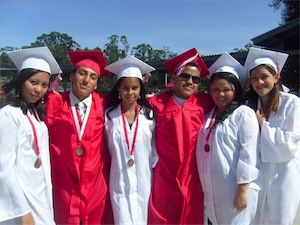 First Graduate offers after school support to students who are the first in their families to have access to college. 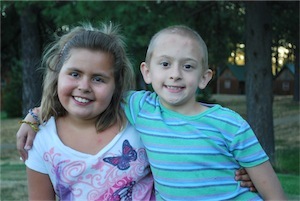 A summer camp experience for children with all types of pediatric cancer. Outright Vermont helps at-risk rural lesbian, gay, bisexual, transgender, queer and questioning (LGBTQ ''queer'') youth in Vermont. As the only queer youth center and state-wide advocacy organization in Vermont, our goal is to make sure youth always have a place to turn. 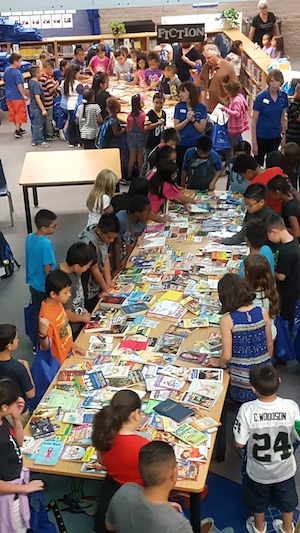 Library books will be purchased for english language learners and spanish readers. 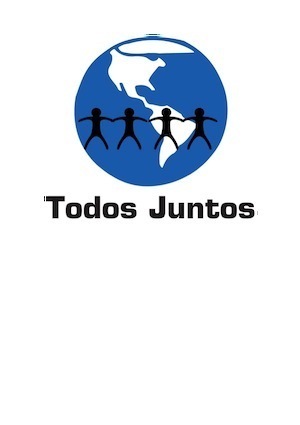 Partnering with groups worldwide to prevent human trafficking for forced labor and prostitution. Shared Hope rescues women and children by buying their freedom and providing shelter, healthcare, education and vocational training. 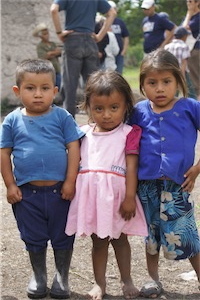 Upper respiratory disease, caused by smoky open fires in Guatemalan homes, is the leading cause of death in local children. Catastrophic burns are another preventable tragedy. This stove project in Guatamala provides safe, portable, locally-made cookstoves to replace open fires and reduce deforestation. 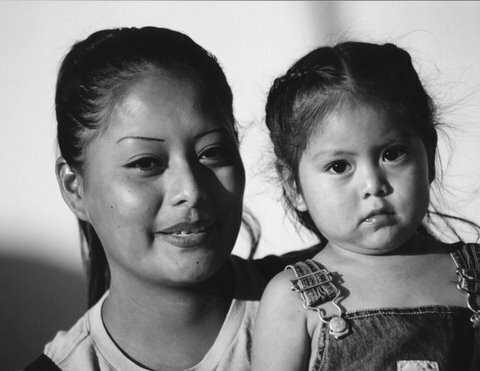 The CMHC, located in East Los Angeles, serves children that have been abused, neglected, sexually assaulted and/or have witnessed the abuse of their mothers. Medical clinic in Carlos Santana's home town of Autlan, Mexico. A youth center complete with an auditorium, commercial kitchen, art studio, meeting rooms, computer center and sound studio for teens. 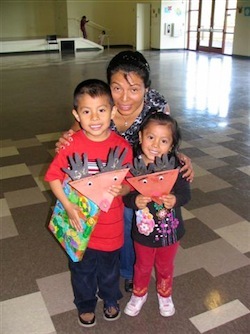 Familias Fuertes!, a project of Family Service Agency's Childhood Trauma Program, is Marin County's only culturally appropriate and comprehensive child sexual abuse prevention program serving low-income and vastly underserved Latino children and their families. The Hannah Project is a collaboration to help improve graduation rates and college attendance of Marin City high schoolers. Hui Malama is a program in Maui that works with underserved children in the areas of Home school enrichment, high school curriculum, GED classes and Homework help and remedial support. 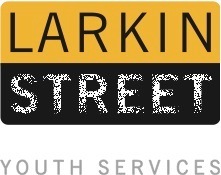 The TASK Program at Larkin Street Youth Services is the only San Francisco program that provides homeless and runaway youth, ages 12–17 (underage youth) with emergency and transitional housing, health screening and treatment, mental health and substance abuse services, case management, education, and family reunification services, in one comprehensive, wrap-around service delivery system. Little Stars is a school educating hundreds of street children in the city of Vanansi in India. 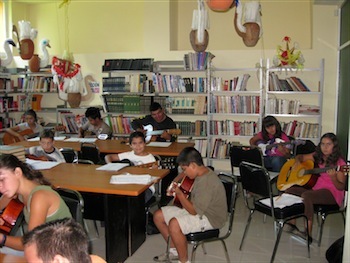 The Mockingbird Youth Project is a community arts academy offering beginning to advanced level classes in Mexican forms of music, dance, crafts and writing to 200 students every week that also includes a youth development component. These classes are taught primarily by master artists of traditional art forms or techniques. 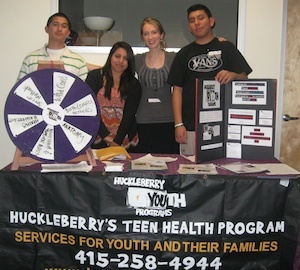 A Marin City community wellness center, health clinic and outreach agency, especially to youth. This project pairs suicidal teenaged girls with Premarin foals (considered to be a by-product of the pharmaceutical industry) in order to restore a sense of hope, vision for the future, increased self-reliance for the girls. NetGain-Malawi places bed netting in remote villages in Malawi, training community members to install the nets and coordinate the research. In June, 2007 it was determined that malaria incidence had declined by 77% in the netted villages compared to the nearby non-netted villages. Ritter Center operates a number of programs that serve children including their Back-to-School backpack and school supply program. holiday programs for food distribution, a food pantry, healthcare enrollment and emergency rental assistance for families. This program will target students from Bahia Vista Elementary School, San Pedro Elementary School, Martin Luther King Academy, and Venetia Valley Elementary School. 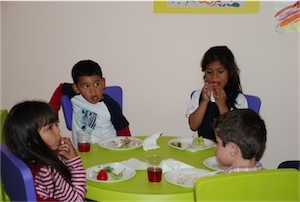 The objective is to improve the choices students make in regard to food, nutrition, health and fitness. 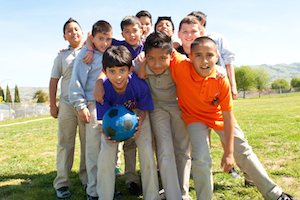 Our goal is to help develop healthier minds and bodies among low-income students. In an effort to reach more under served populations, SBCMC acquired a bus and converted it to a mobile clinic, complete with a fully equipped exam room and is staffed by volunteer Pediatricians, medical assistants, and interpreters. They now have expanded to serving high school students at risk in 3 area highschool clinics. Trips for Kids’ Earn-a-Bike Program provides skill-building workshops to low-income, inner-city, or otherwise at-risk boys and girls from ages 10-17 in the dense Canal District of San Rafael. Youth in these workshops have a chance to build and earn a bike while gaining valuable work experience. Employing local women to prepare 14,000 hot meals a day for poor children in Port-au-Prince and Gonaives, the women will work in 12 new catering facilities that will be known as "Yele Cuisine." 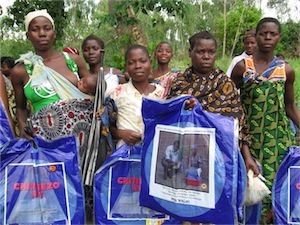 These women will supply hot meals for schools in their area without kitchens. 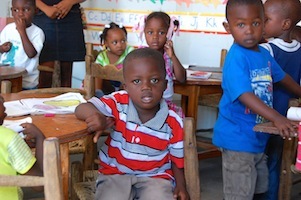 An estimated ninety percent of schools in Haiti do not have kitchen facilities. 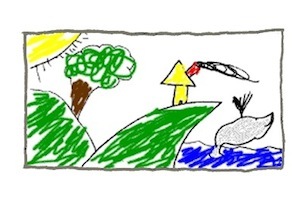 AHO is the only nonprofit group providing a safety net of stable housing, guidance, and community connections to homeless young people, who at age 18 are without a caring adult or resources to build a healthy and meaningful life. 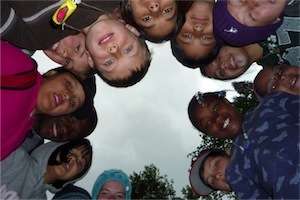 AHO works with youth up to 5 years as needed to assist them in building a strong foundation for their lives. Operating expenses for the Medical clinic, Santuario de la Luz, built by the Santana family in Carlos' birthplace of Autlan, Mexico. 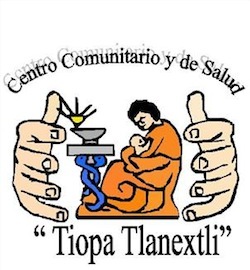 This clinic is the only medical clinic serving the poor in the surrounding communities of Autlan. 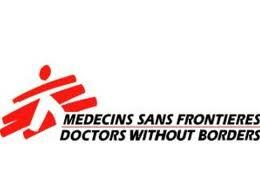 These funds will support the hiring of a development consultant to begin professional fundraising activities to begin building capacity to support the clinic. 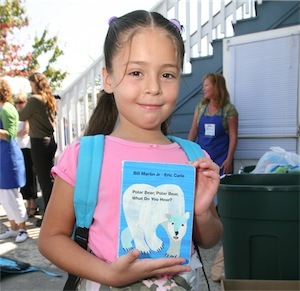 The mission is to improve reading skills, provide homework assistance and academic tutoring and engage parents in the education of Marin City youth in the program - so that students stay in school and improve academically. The project is called Celebrating Life. 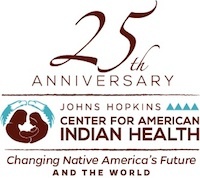 A key element of the program centers on rejuvenating relationships between elders and youth as an imperative strategy to curb the epidemic of suicide and drug abuse among Apache youth. 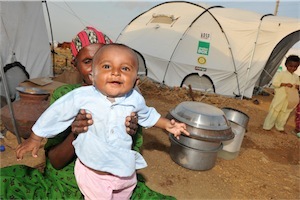 Disaster Relief for cyclone victims in Myanmar. 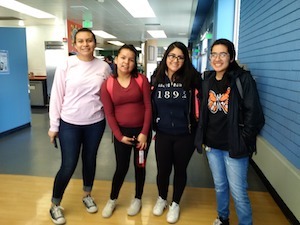 Eastside is an independent, non-profit school founded in 1996 to offer East Palo Alto high school students a rigorous college preparatory education and widen their life opportunities. 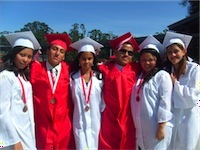 Their central mission is the enrollment of 100% of Eastside graduates in a four-year college or university. This project encompasses three programs for homeless children in SF and Marin County: Beach House, Mentoring Program and School House Program. 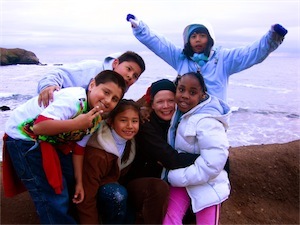 Beach House brings children 5-17 from homeless shelters for day trips to a cottage in the Marin Headlands outdoors. 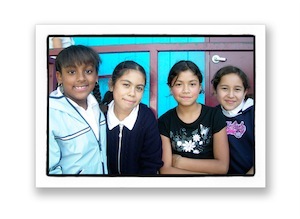 KIPP Bayview is a middle school program following the KIPP model. 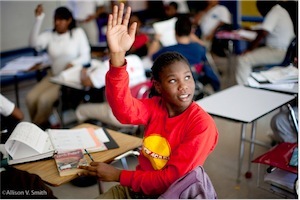 Students tend to arrive at KIPP Bayview two grade levels behind academically on average. The goal is to turn them on to learning and support them as they excel beyond grade level so when they leave 8th grade they are competitive with all entering high school students, both public and private. 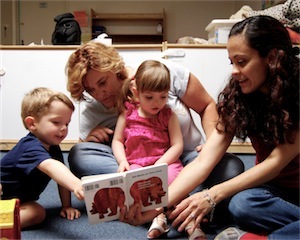 Family Literacy volunteer tutors offer one-to-one instruction to parents of small children, in locations such as libraries, homes, and the isolated ranches of West Marin. 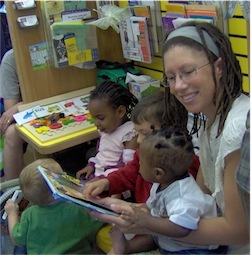 The FATHERS Program at San Quentin State Prison provides family literacy and parenting instruction to incarcerated fathers and father figures, while the FLAGship mobile classroom provides school-readiness skills and health and wellness workshops to isolated preschool children and their families. Scholarship assistance for undergraduate college students unable to access public financial aid sources. The project will bring students in poverty into a performing arts program. 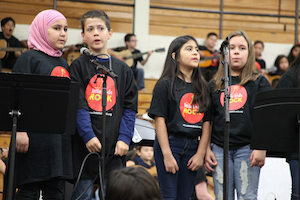 Students from NUSD's neediest elementary schools will be provided with instrumental, voice, and dance in collaboration with Marin School of the Arts at Novato High. 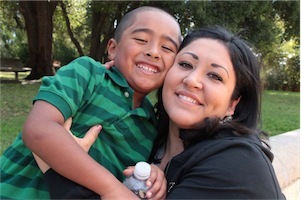 Parent empowerment and leadership project primarily for low income immigrant parents. 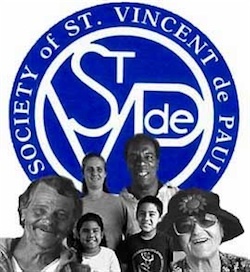 Volunteer tutoring program for children in the Richmond School District. Disaster relief for the cyclone in Myanmar. Located in a low-income neighborhood in West Oakland, the Sophia Project is a direct service, community-based, care and education center for children and families at risk of recurring homelessness. Rainbow''s End is Spectrum''s outreach and support program for lesbian, gay, bisexual, and transgender (LGBT) youth ages 14-19 years of age. 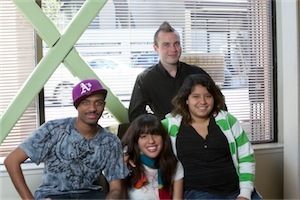 It is the only support group for LGBT youth in Marin County. 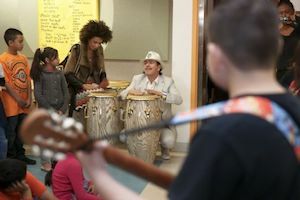 Community Arts Partners is a model community engagement program for the Marin City/Sausalito School District, designed to be replicable in other underserved communities. 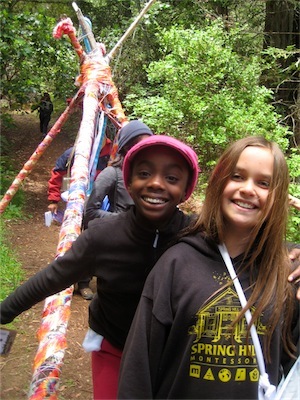 Community Arts Partners will result in a trained corps of volunteers to help implement and sustain a comprehensive arts education program (YIA’s STARS program) in Marin City/Sausalito schools. This grant would provide year-round academic support for at-risk children from the Mission and Potrero Hill in San Francisco. 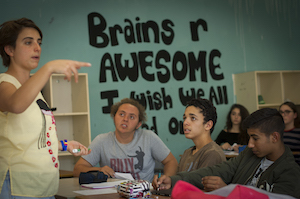 This grant supports bilingual bicultural schools in Israel serving Israeli Arab and Israeli Jewish children, breaking down barriers and teaching them about each other's culture. 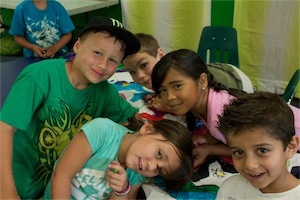 Provides two weeks worth of play clothing and school outfits for children. A wellness center, health clinic and outreach, especially to youth. The mission of Oasis For Girls is to cultivate self-esteem in girls and young women through arts, education and leadership development programs. The purpose of Performing Stars' programs is to create opportunities for children to overcome the limitations imposed by poverty so that they can follow their dreams and become actively engaged in a discipline of their choice.